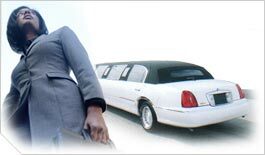 Long Island Vineyard Tours is a division of Metro Limousine Service. We provide professional Limousine and Luxury Car transportation to & from Metropolitan NY, NJ & CT. We have an inclusive line of Limousines and offer quality reliable service at comfortable hourly rates. Metro Limousine Service provides professional Limousine and Luxury Car transportation to & from Metropolitan NY, NJ & CT. We have an inclusive line of Limousines and offer quality reliable service at comfortable hourly rates. We have Cadillac’s, Town Cars, Party Vans, SUV’s, Hummer’s, Buses, absolutely everything for your Metropolitan Experience! All Major Credit Cards Excepted.